Updated, Aug 21, 2017, 10:53 a.m., to change time period in which GK Goh invested in Orange Valley to early 2000s. The groundbreaking ceremony for Allium Healthcare Holdings’s maiden nursing home project on Venus Drive was held last month. Allium Healthcare is a wholly-owned subsidiary of investment holding company GK Goh Holdings. It was awarded the 30-year leasehold site last December. Allium paid $24.3 million for the 4,000 sq m site, and intends to build a four-storey, 129-bed facility with a built-up area of 5,600 sq m. The development cost of the project is estimated to be $40 million to $45 million. Venus Drive is located just off Upper Thomson Road, an affluent landed housing neighbourhood that includes the Windsor Park Good Class Bungalow area and Soo Chow Garden. 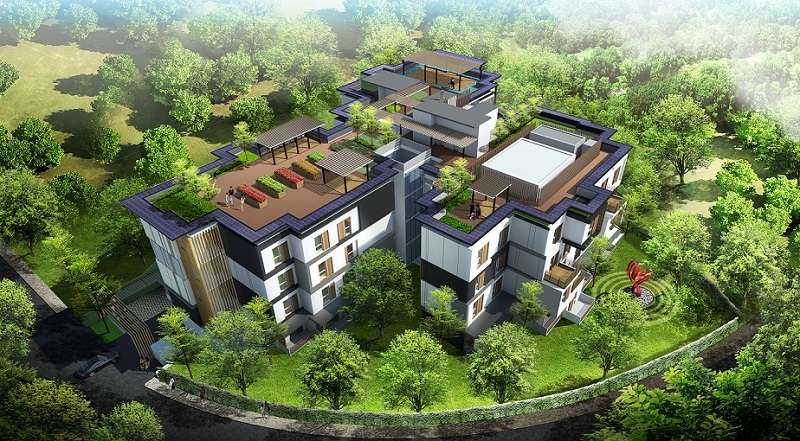 Further down Upper Thomson Road, there is the established landed estate of Tagore Avenue and Seletar Hills Estate. Private condos in the vicinity include the upcoming 288-unit Thomson Impressions; Thomson Three, which comprises 435 apartments and 10 strata semi-detached houses, completed in 2016; and the 361-unit Thomson Grand, completed in 2015. Allium’s nursing home will be among the few to contain exclusively single and companion suites, as well as executive suites. The executive suites come with their own living room and open terrace for residents to entertain friends and family, as well as enjoy greater privacy, says Poh.